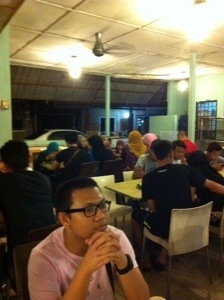 Last Saturday, we went to one of the finest Char Koay Teow(according to my MIL) in Damansara area. This place is quite small and packed. It was raining that night which makes the ambience is so great since it is an outdoor restaurant.Here it is, Mie Cord at Sungai Penchala. My MIL and SIL keep saying that this Char Koay Teow is so great. I came up with a big expectation that day aaandd it was okay-lah. 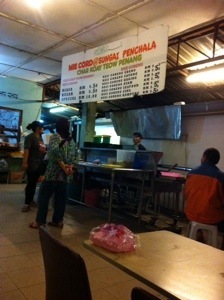 It is not fair to compare it with the mouth watering Char Koay Teow that I had back in Jitra, Kedah. This Char Koay Teow is a bit sweet. 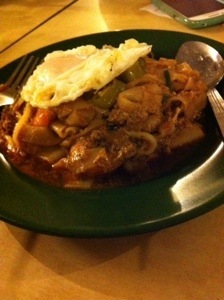 If it is a little bit spicy, then this Char Koay Teow will be the winner!